Great building, poor management, lots of mandatory unnecessary feessubmitted by Kevin M. - Apr 16, 2019 |Recommended: NoThis place used to be much better. We did not have to pay for parking, did not need mandatory asset protection. Furthermore, the parking fee increases every year for no reason. it went from 30 a month to 50 a month. Why There is no need for this increase. I, along with many other residents of this building have taken note of these ever increasing fees this practice is predatory and has made me lose significant respect for AION management. there are also several dangerous potholes in the parking lot that the staff has not addressed. It is not worth 1.50 a day to park in your own home, not to mention in a rundown, pothole filled parking lot. There is also minimal guest parking. Not even close enough to accommodate 20 of the residents' guests. Guest parking is also first come first serve, so if it fills up, many guests park in our resident parking spots. Due to the unnecessary extra costs that management has cast upon residents, even after living here for 3 years, I have decided this is my final year living here and I will be leaving once this lease ends, unless these issues are addressed and properly handled. Great place to livesubmitted by Jeffrey U. - Apr 10, 2019 |Recommended: YesDiverse, convenient, great staff, just a good spot and good value. Nice view with peaceful livingsubmitted by Satyajit G. - Apr 02, 2019 |Recommended: YesThe view from my balcony, the concierge and the gym are very impressive. However the insulation system is not quite good. For a studio Apt my utility bill was 200 for the month of Feb. Renovating the carpets on the hallways will be nice. Great apartment for young professionalssubmitted by Samuel S. - Nov 29, 2018 |Recommended: YesThe staff is very friendly and knowledgeable about the area. The complex is clean and the grounds are well kept. Perfect place for anyone to live at.submitted by Anthony V. - Oct 31, 2018 |Recommended: YesVery affordable, well maintained place, and great helpful staff where you can really enjoy yourself in a beautiful home. Wonderful experiencesubmitted by Akanksha H. - Oct 05, 2018 |Recommended: YesI just moved in last month and I love the apartments. The landscaping is excellent. The staff is very friendly and attentive. Although it takes a little bit of time to get the maintenance work done. Other than that it is worth the money you pay for. The property is in general nice and family friendly.submitted by Olufunsho F. - Oct 01, 2018 |Recommended: YesI will recommend this place to a friend but my only concern is the fact that it takes the apartment maintenance almost 2 months to come and fix the floor of my apartment living room. I have followed up more than 4 times and yet it has been fixed. That is very unacceptable for the premium rent that I pay for this apartment. Am actually disappointed that it is taking the maintenance that long to order floor tiles to fix the issue. Pretty good with some disadvantagessubmitted by Yunru T. - Sep 15, 2018 |Recommended: YesIt is good while some staff are not very familiar with their jobs. The people here are very welcoming.submitted by Emily C. - Sep 08, 2018 |Recommended: YesI really enjoy living here it is a really well kept community. The maintenance team here are quick at responding to your needs. The front desk and security are also very helpful when it comes to any problems or concerns. You can never here your neighbors unless you are in the hallway. 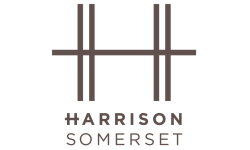 I am still fairly new here but I am really enjoying my time here at the harrison. Reviewsubmitted by Nichole C. - Sep 03, 2018 |Recommended: NoI am disappointed in the amenities, cleanliness of the facility and the difficulty with staff members.